In the early years, as a business grows, it is important to ensure that the main operating companies are registered in the states in which they are doing business. This is a significant endeavor, as registration and ongoing compliance requirements vary state by state. 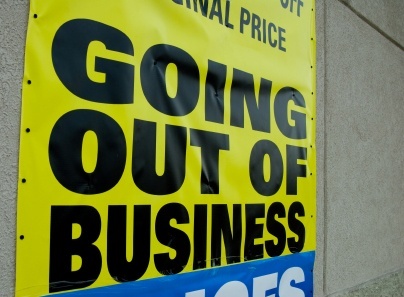 On the other hand, if a company is no longer doing business in certain states or business is winding down, it is equally important to terminate the company’s legal existence in those states where it was qualified to do business. Considering the annual costs associated with maintaining state registrations, it’s good practice to regularly review activities in the states where the company is formed and qualified to determine whether any registrations should be dissolved or withdrawn. This is typically done by filing a Certificate of Dissolution or Withdrawal with the appropriate Secretary of State’s office. Much like filing a Certificate of Incorporation or Application for Authority when the company is just starting to do business, the requirements, fees and timing of these filings can vary. However, there is one additional consideration that could add weeks, months or—in some cases—years to the process of formally withdrawing or dissolving a company: tax clearance. 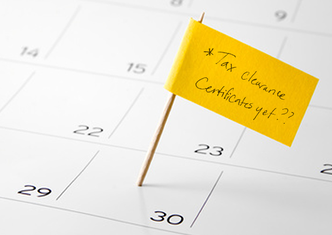 Prior to filing a Certificate of Dissolution or Withdrawal, states may require that the Division of Taxation (or an equivalent department) issue a Tax Clearance Certificate. Like many other filing processes, obtaining a Tax Clearance Certificate varies from state to state. In Colorado, for example, tax clearance can be done relatively quickly online with same-day filing confirmation. In other states, it is a two-step process that starts with submitting an Application for Tax Clearance with the Department of Revenue. The second step can include waiting up to two years for the Tax Clearance Certificate to be issued before you can actually file a Certificate of Dissolution or Withdrawal with the Secretary of State. Below is an overview of the states where obtaining tax clearance in advance of filing the dissolution or withdrawal may take longer than one month, and in some cases over a year. Arizona Tax Clearance Application submitted to Arizona Department of Revenue, concurrent with Application for Withdrawal. 5 to 6 months. Louisiana Tax Clearance Certificate, issued from the Collector of Revenue and the Administrator of the Division of Employment Security of the Department of Labor, certifying that all fees, charges, taxes, unemployment compensation and distributions and interest have been paid. Once submitted, check every 2 months for clearance. Up to 2 years. New Hampshire Tax Clearance Application submitted to New Hampshire Department of Revenue. Within 2 months. New Jersey Submit completed Certificate of Withdrawal and tax clearance forms to the Department of the Treasury, Division of Commercial Recording. The Division of Commercial Recording forwards the tax forms to the Division of Taxation. Up to 6 months. New Mexico Clearance from Taxation and Revenue Department and the Department of Labor required prior to tax clearance being granted. 6 months to 2 years. New York Tax Clearance Application submitted to New York Department of Taxation and Finance. 4 to 6 weeks. Pennsylvania Tax Clearance Application submitted to Pennsylvania Department of Revenue and the Office of Employment Security of the Department of Labor and Industry. Up to 2 years. Rhode Island Obtain a Letter of Good Standing from Rhode Island Division of Taxation. 1 to 2 months. Texas Tax Clearance Application submitted to the Texas Comptroller of Public Accounts. Up to 1 year. Utah Tax Clearance Application submitted to the Utah State Tax Commission. 6 weeks to 8 months. Washington Tax Clearance Application submitted to the Washington Department of Revenue. 10 to 12 weeks. West Virginia Need clearance from the West Virginia state tax department, Workers' Compensation Unit, and Department of Employment Security. Up to 2 years. Download full chart as a PDF. In states where the tax clearance process can get lengthy, it is important to stay on top of making sure the company is fully dissolved or withdrawn because the company can accrue additional franchise or income taxes while it still legally exists in a state. Companies in California, for example, are subject to a minimum franchise tax of $800 per year until they obtain tax clearance from the California Franchise Tax Board. Depending on the scale of your business enterprise, tracking the timing of these filings can be challenging. A professional registered agent service provider can assist with tax clearance application submissions and tracking, allowing you to file a Certificate of Dissolution or Withdrawal as soon as possible.